The definition of a Changemaker (n) – A term coined by the social entrepreneurship organization, Ashoka, meaning one who desires change in the world and, by gathering knowledge and resources, makes that change happen. What the world needs now is for you to shine your light, speak up, make a difference, do what you know needs to be done. If you are ready to step into being the Change Maker that you know deep inside you exists and it is time for him/her to come out, this program is for you! Lorin was one of the first in the world to have a year-long online/virtual program, she started it in 2004 before there was anything like it. Now there are 1000’s of programs like this. What Lorin knows from experience is that when you take learning modules and combine them with 1-on-1 private coaching, this combination is exponentially powerful. That is the magic of our Change Maker Program; it combines the two in order to have you learn, apply it to yourself deeply and keep doing that over and over again. It is a journey, an adventure, but what happens over the course of time? You come alive – you take bold action – you fine-tune your habits – you create intentional intention and the Change Maker in you is born and has big impact. Big is something only you can define. It is not for us to judge. For some it means changing the culture of your home which impacts that family forever. For others it means creating a not-for-profit that helps those in need worldwide. For others it might mean working with your existing team that together clean beaches. For another it might mean opening up a new business in the community and serving them well. But what is always the same is that each Change Maker wants to have a positive impact in and on their world. Who is to judge what Big to you? Nobody – only you. This model of supporting each other to be the Change Maker you want to be is what this group is all about. You will find support from the leaders that surround you. You will find that we are all students and we are all teachers and we are all leaders. Lorin, as the facilitator will ensure that. That is her gift that she has mastered over the years. This year-long adventure is a journey of self-discovery and a journey of empowerment. You will receive inspiration. You will receive clarity. You will be held accountable. You will get to know your Change Maker Peers and be able to support each other. Through the TotalSDI Assessment you will get to know your values when you are doing well and you understand what happens to your values when you are in conflict. Because Change Makers run into conflict. It is the nature of the beast. 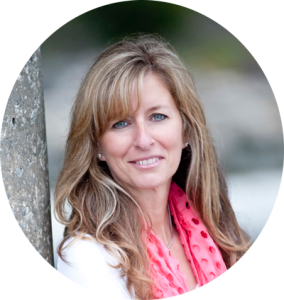 We will get to know the basic Success Principles Lorin has been teaching since writing her first book in 2005. You will gain clarity on what your values are and what stake you are putting in the ground as a Change Maker. We will go through a SWOT analysis for the work you are doing whatever that is. We will gain clarity on the social responsibility you want to have in the world and the impact you want to have through your vision. We will use our very own powerful goal/intention setting tool – you will be able to use this tool from this point forward. It is simple. It is powerful. It is a #gamechanger. We will raise awareness around our limiting vs. empowering beliefs so that you can recognize them when they slow you down. We will look at the power of mindfulness in order to have the impact we want to have in the world and our responsibility to do so. We will also learn how to recover more quickly as Change Makers. Change Makers are empaths and the weight of tough energy can get in the way, we want to avoid that as much as possible in order to shine our lights consistently bright. The world is fast paced and as a Change Maker we don’t want to get caught up in that rip tide because there we have less impact… we will gain clarity on how to not get caught up in it. Being a Change Maker can be tough, but you will never be sorry, it is also not for the faint of heart. Following that light within you takes work. It takes commitment. It takes effort. It takes change. But you are worth it and our world is ready for you and needs you to be the Change Maker you were meant to be. 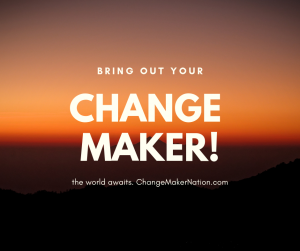 What does our Change Maker Nation Program consist of? 24 live modules lead by Lorin Beller, 24 private 1-on-1 coaching session (with one of our Change Maker Coaches) just for you and a group of Change Makers that will be a part of your network forever. You will also be added to our private facebook group of change makers so that you can network with other Change Makers from past groups and future groups. Contact me about this year-long Adventure and I’ll help you decide if it’s right for you. I know a year might feel like a big commitment to you, and that is exactly the message you give yourself and the Change Maker within you when you sign up for this Yearlong Adventure – that you ARE COMMITTED … to discovering the depth and breadth of your full potential. It is that COMMITMENT that will take you to places you have never been before! I have watched hundreds of Change Makers go through this program. As they walk through it, their light gets brighter, their clarity gets clear, their voice gets stronger throughout the year. It is an absolute JOY and HONOR for me to watch. I hope I get the chance to see you shine over this next year! 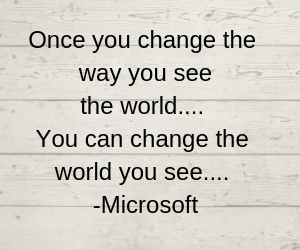 We have a chance to change our own selves, our work, and even the world – let’s do it together!